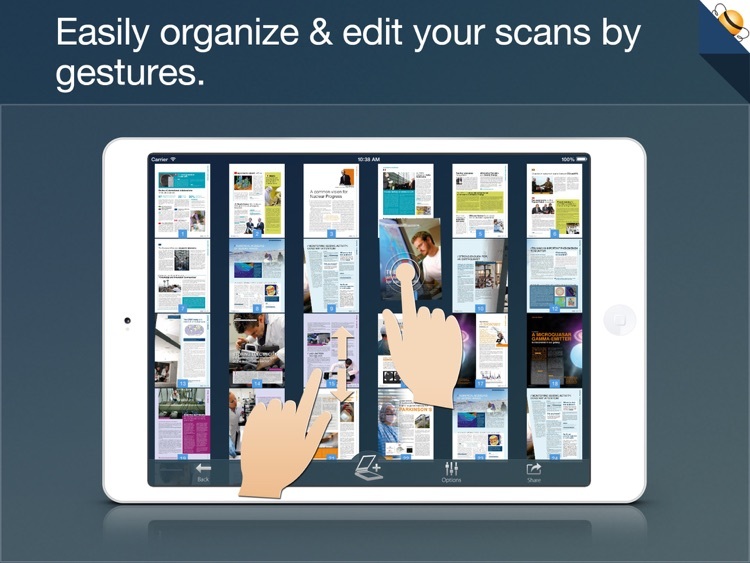 PDF Scanner for iPad by Flyingbee Software Co., Ltd.
PDF Scanner turns your iPhone & iPad into a portable scanner for documents such as receipts, contracts, articles, paper notes or sketches. 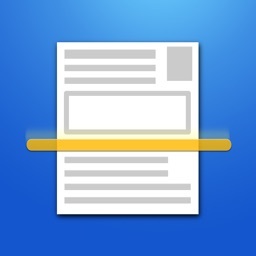 It auto-detect page edges, brighten documents, adjust photos with filters. 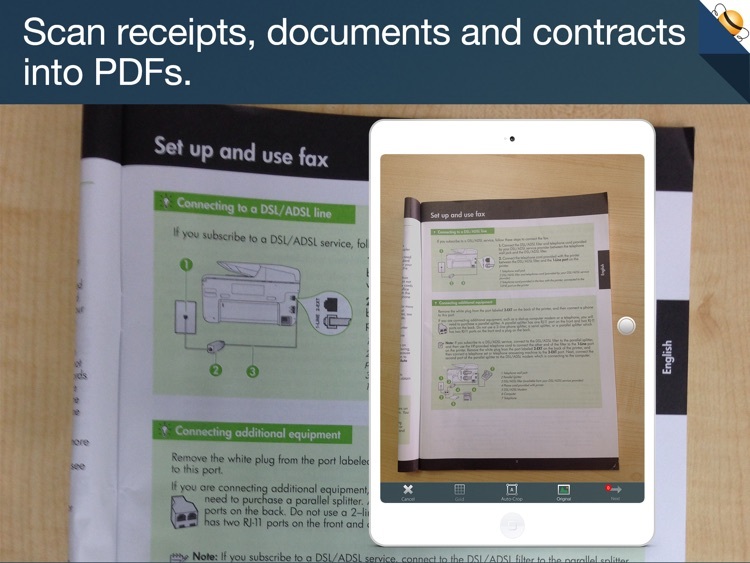 You can scan files to digital copies for print & fax, share via Internet and read them later. ++ Incredibly Easy to Use. 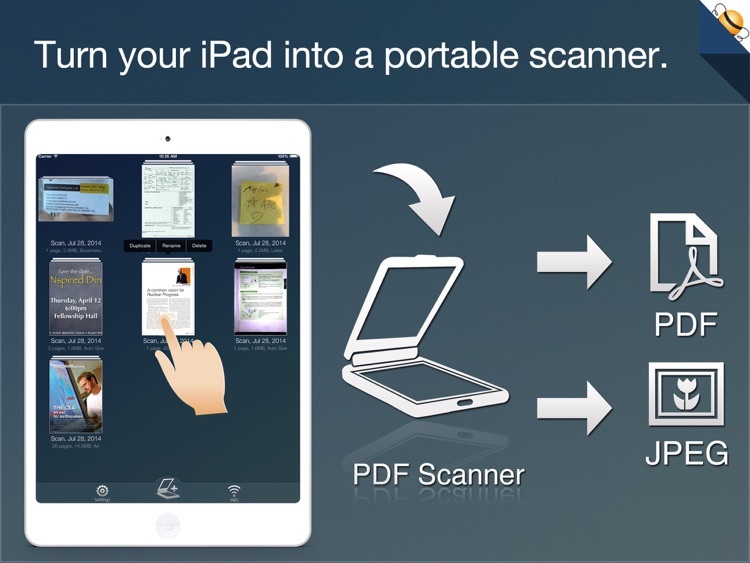 PDF Scanner boasts a professional yet easy-to-use interface, simple workflow with an extremely neat, clear interface and interactive gestures. It can easily print & fax with HP, Canon, Kodak and other printers. With real-time filter, you can easily scan documents in color, grayscale, or black & white mode, it will auto-process and store the digital copies in your collection quickly. - With built-in advanced algorithms, it can auto-detect document edges. - Straighten the documents (rotate, sharper, crop & correct perspective, make it readable). - Adjust the brightness, contrast and saturation. - Apply optimized color, grayscale, or black & white effects. 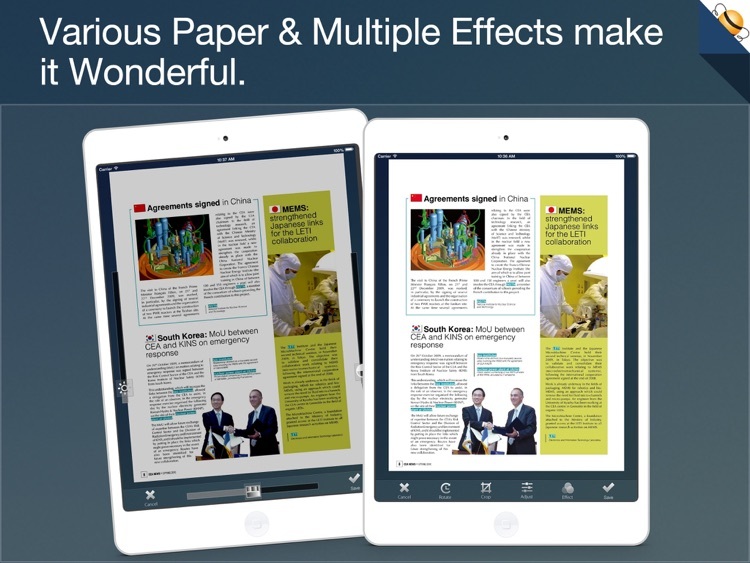 - Brighten documents to save Ink costs. - Various paper sizes including Letters, A3, A4, A5, B4, Business Cards, Legal and Ledger papers. 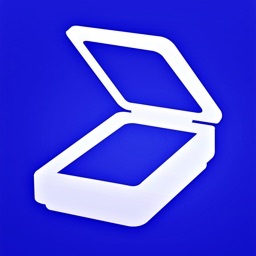 - Scan documents, receipts, invoices, contracts, business cards, whiteboards, schedules and other paper notes. - Adjust quality & large image DPI output. - Support Photo to PDF Conversion, add PDF properties, including author, title and subject. - Support encrypted PDF with restrictions. ++ High Efficiency and Productivity. 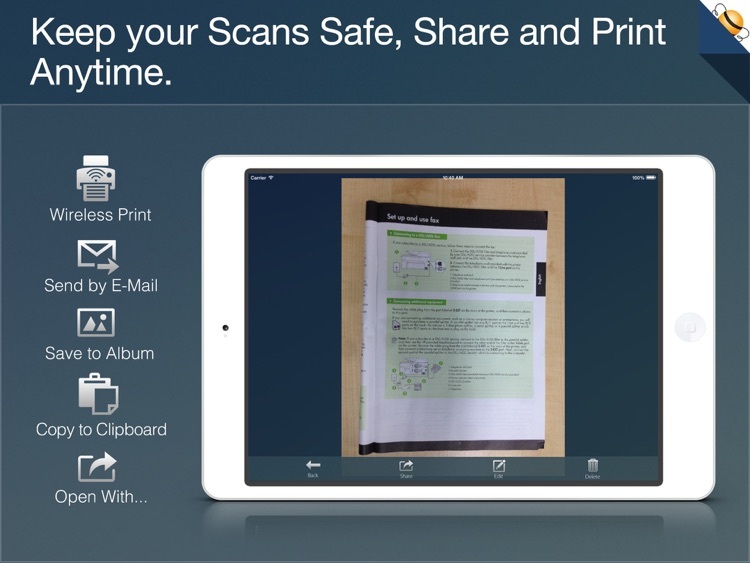 You can quickly batch-scan your documents, share via emails, print out as industry-standard PDF or JPEG files anywhere, or open with other apps for cloud sync or save for further reading. 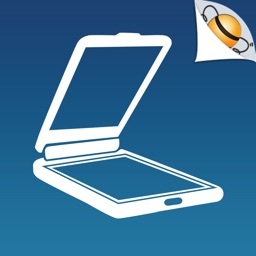 By using "Open In..." approach, sync files from many popular online storages: Dropbox, Evernote, GoogleDrive and other cloud storage; send PDFs to iBooks, Adobe Reader, GoodReader office app for best reading experience; Besides, you can send PDFs by e-mails, open them in other apps and even transfer them to the computer. Several sample files have been attached, you can test it right now! 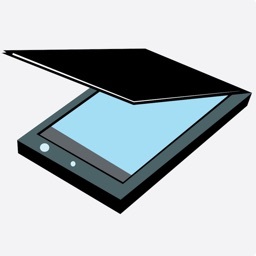 We are continuously developing this app. If you have any questions, problems, or suggestions, please feel free to contact us, we will reply ASAP.